This range of ornaments shows dragons twisting around a sword. 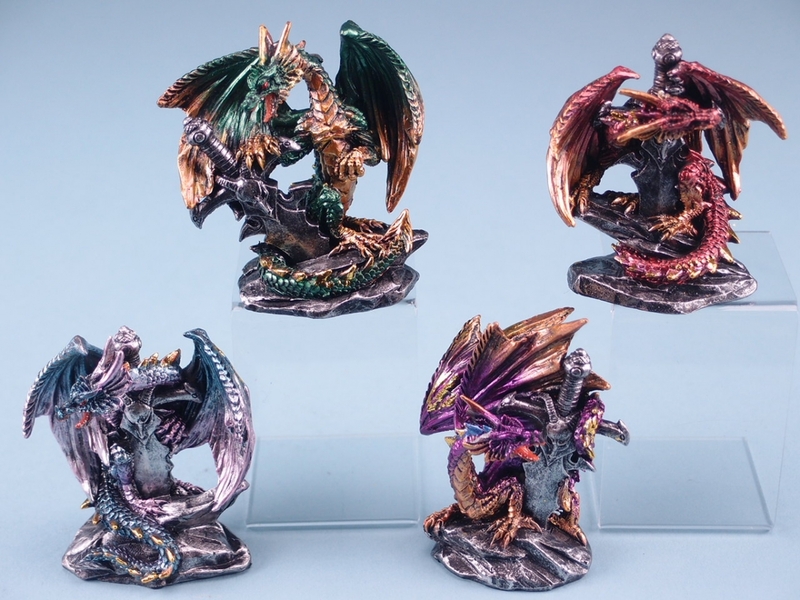 There are four different designs each of which is decorated with two-tone metallic effect colours: green and gold, red and gold, purple and gold and jade and pink. 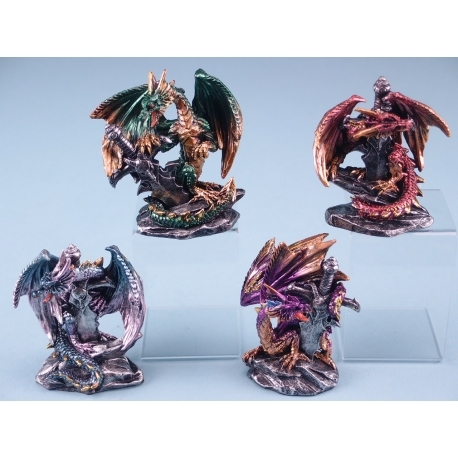 They are approximately 8cm high and are made of polyresin. Each dragon is packed in its own box. These are not toys and are not suitable for young children.